Activision is trying to destroy the former Infinity Ward heads' reputation, says the pair's attorney. A representative for Vince Zampella and Jason West has dismissed the emails presented by Activision as proof of the men's insubordination as a desperate attempt to avoid paying them the millions of dollars of bonuses they supposedly owe them. It emerged yesterday, that Activision had been successful in efforts to add EA to its complaint against the West and Zampella. This was due, at least in part, to email evidence that suggested that - as Activision had previously claimed - there had been an effort on the part of the two men to delay the release of a Call of Duty: Modern Warfare 2 map pack in EA's favor. EA representative, Jeff Brown, said that the email - which came from EA DICE's Lincoln Hershberger, and was sent to a number of EA executives, like DICE boss Patrick SÃ¶derlund, and EA Games president Frank Gibeau - was a joke and shouldn't be taken seriously. In a statement, West and Zampella's lawyer, Bobby Schwartz went a little further, and said Activision's claims that the email proved some kind of collusion between EA and his clients was "a desperate attempt ... to find some basis to justify its misconduct and refusal to pay what it owes." He added that all the email actually proved was the incredible ill will that Activision bore the two men. 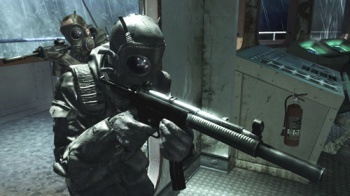 He said that not only was the publisher refusing to honor the contract it had with the former Infinity Ward heads, but it was trying to destroy their ability to find work anywhere else in the industry, a point that he said he would make very clear to the jury. It's very easy to fall into the trap of siding with the little guy, especially when the big guy is Activision, but it sounds like this already complicated case could have a lot more going on than anyone first thought. This email could be nothing more than an ill-timed joke, or it could be a vital piece of evidence, and it's impossible to know for sure at this stage.